In the 1840s enterprising Charles Abercrombie purchased land at present-day Birkenhead Point and established an orchard and a ‘salting and boiling down’ works. Abercrombie also laid out a racecourse on his property where the first steeplechase race in Australia was held in 1844. The ‘Five Dock Grand Steeple Chase’ had nine leaps, including a 6 metre pond leap and a 1.4 metre stone fence. 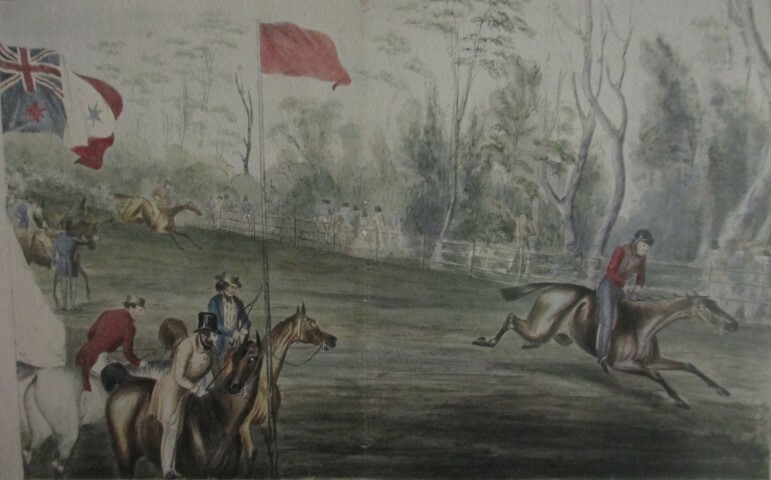 The Sydney Morning Herald at the time declared that the ‘first race was regarded as the best that ever took place in the colony, and far exceeded the expectations of the most sanguine sportsmen present.’ The prize for the first race was sixty sovereigns (£60) and was won by Mr Kemble’s British Yeoman, ridden by Gorrick, with Mr Bryant’s Highflyer, ridden by Watt, coming second. Abercrombie’s own horse, Emancipation, came last in the second race and second in the third event. A delightful series of lithographs held by the Mitchell Library (State Library of NSW) records the event. Currently a display at Five Dock Library, ‘Once we had horses!’ celebrates local horses through a selection of historical photographs from Canada Bay Connections. Erected in 1921, the Concord War Memorial has been the focal point for Anzac Day services for over ninety years. Some 600 men and women from the Concord area enlisted to serve in the First World War, a remarkable number considering the population at the time is estimated to have been less than 11, 000. 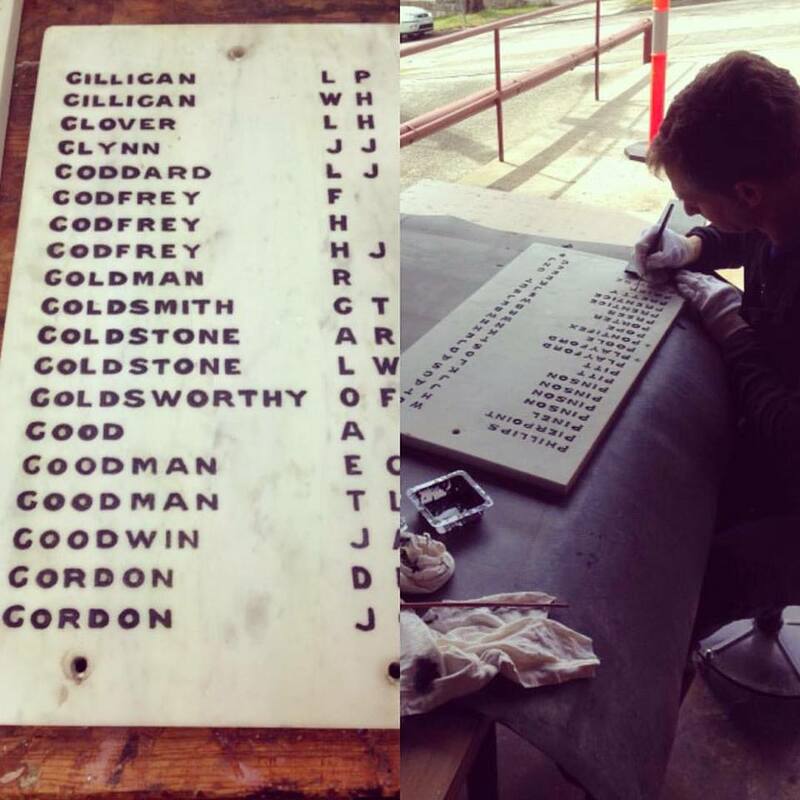 At present conservation work is being carried out on the marble tablets so the names will be legible once again. Thus the original intention of the memorial ‘to perpetuate the memory of our nurses, sailors and soldiers who enlisted in the Great War 1914-1919’ will be fulfilled. The work will be completed by Remembrance Day, 11 November 2015. Eadith Walker’s lavish entertainments at Yaralla were a highlight of Sydney’s social scene in the first part of the twentieth century. 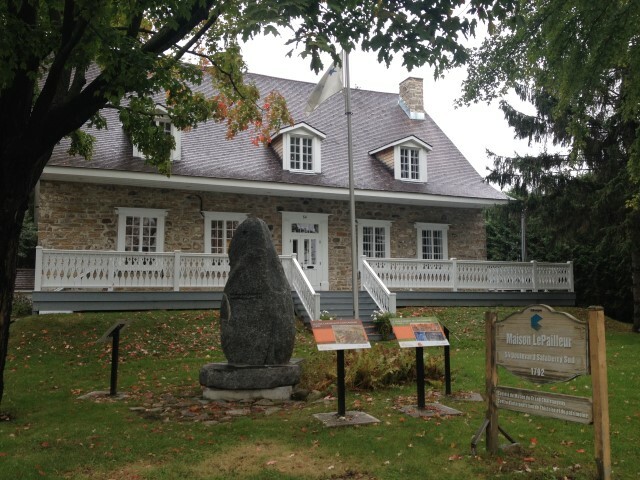 City of Canada Bay Heritage Society will be hosting an open day at Yaralla on Sunday, 25 October 2015, 9.30am-2pm. 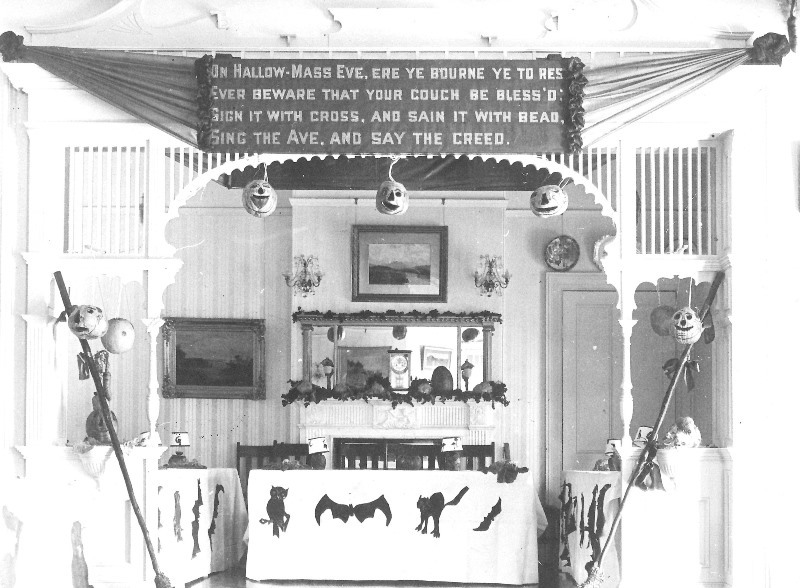 While Concord Library will be celebrating Halloween this year with a special ‘Trick or Treat for UNICEF’ on Saturday, 31 October 2015, 2-3pm. Cabarita Park has continued to evolve over a period of some 135 years since it was dedicated as a ‘Reserve for Public Recreation and Access to Wharf’ in 1880. 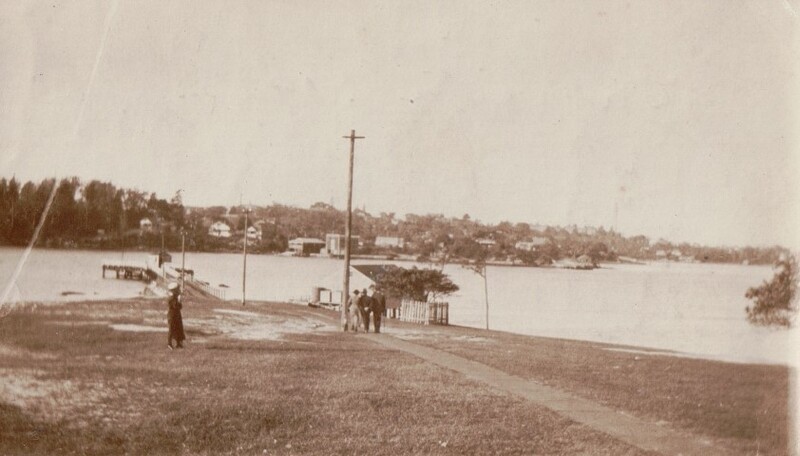 In the early days it was an important vantage point for rowing races held on the Parramatta River which was promoted by the extension of the tram service to Cabarita in 1907. 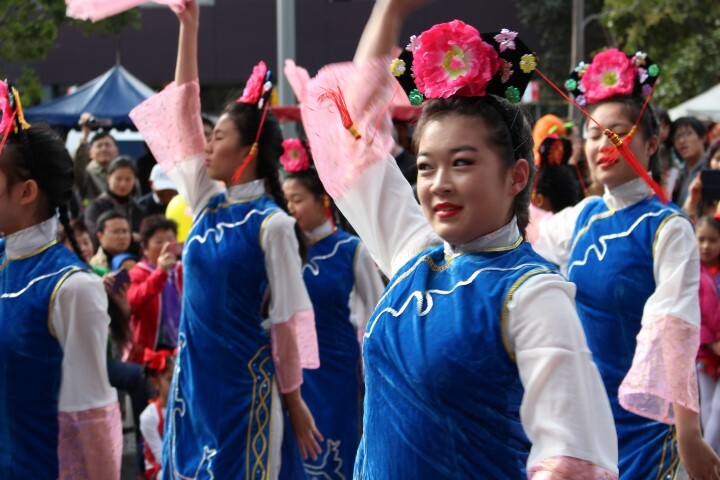 Over the years extensive plantings of trees and gardens together with facilities such as the Federation Pavilion and Concord-Cabarita Coronation Baths combined to make Cabarita Park an important recreational area. The process of change and development continues with ‘The Conservatory’, an exceptional arts and cultural facility which will be completed next year. The photograph, above, which shows Cabarita Park in 1923 was recently donated to Canada Bay Connections.